Painting the inside of a home is one way to give it a fresh look. This is a good idea for your personal use and also if you plan to sell your home. 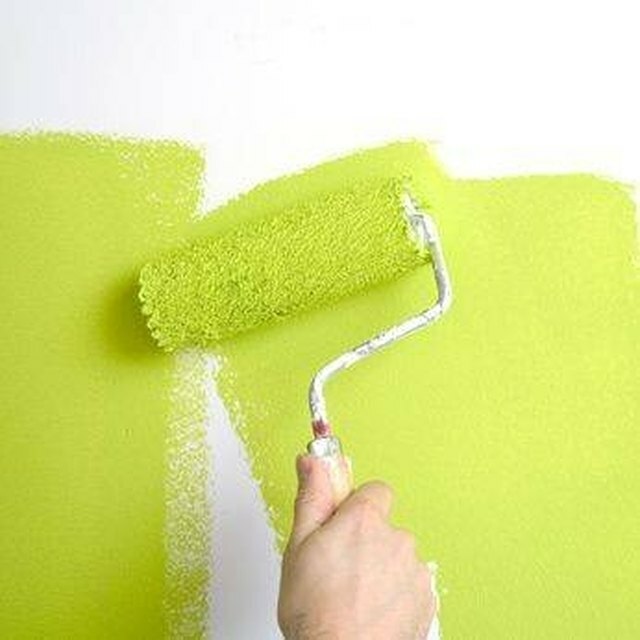 Painting is an inexpensive way to change the look of a room. However, it can be tricky to get a result that looks professional, especially the parts at the top of the wall where it meets the ceiling. This space is too small for a roller brush and needs to be painted with a hand-held bristle brush. Wall painting is done is several steps. Stick painter's tape to the ceiling along the edges where you are going to paint. This tape is easy to apply, is wide and won't pull off the paint underneath when you remove it. This will protect your ceiling from painting mistakes and will help you paint a straight line between the ceiling and wall. Use a 3-inch paint brush and paint a line across the top of the wall, below the ceiling. Use light pressure on the paint brush. You don't want it to fan out while you work. Use smooth, even strokes. Finish painting the wall with a roller brush. If you are doing two coats of paint, repeat the steps. Work in a well-ventilated room when painting and take frequent breaks.